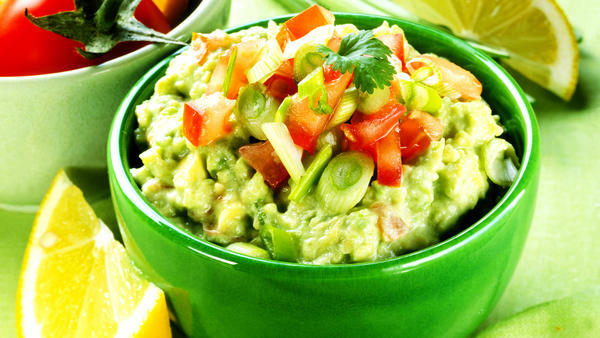 The Food and Drug Administration has started testing randomly selected fresh herbs and prepared guacamole. So far, the agency has found dangerous bacteria in 3 percent to 6 percent of the samples it tested. The testing has barely begun, but the agency has released the first results, revealing that it has, in fact, discovered disease-causing microbes in a small percentage of those samples. Out of 139 samples of fresh herbs tested, four tested positive for salmonella and three contained disease-causing E. coli. Most of the herbs that the FDA tested, and all of the contaminated samples, were imported from other countries. The FDA tested 107 samples of processed avocado and guacamole, divided roughly equally between domestic and foreign suppliers. Four samples tested positive for disease-causing listeria, three of which were processed in the United States. Listeria is especially troublesome because it can proliferate in cold conditions, such as a refrigerator. Eventually, the FDA plans to test 1,600 samples of both fresh herbs and processed avocados. The agency says that no conclusions can be drawn from the results so far, because most of the testing remains to be done. Robert Buchanan, an expert on food safety at the University of Maryland, wrote in an email to NPR that "I did not find the result unexpected. These frequencies are not unusual in fresh produce." Buchanan also cautioned that the amount of contamination in each sample, which the FDA did not disclose, is important in determining the real risk to human health. Healthy people can eat slightly contaminated food without getting sick. No amount of contamination, however, is legal in fresh produce. According to the FDA, when it detects any of these disease-causing microbes in products through its tests, it can launch enforcement actions such as a recall, or, in the case of imported food, blocking that food from entering the United States. Craig Hedberg, an expert on food safety at the University of Minnesota, says that contamination with salmonella or listeria is "an indication that companies need to pay more attention to sanitation in their plants." Washing fresh herbs may reduce the amount of bacterial contamination, he says, but it won't eliminate it altogether.